So if you may not know already, Covershoot Cosmetics are an upcoming brand who need to be noticed for the quality of their products! I recently found the nail polish remover in Poundland and very nearly picked it up, but I realised I didn't actually need one yet so I left it there! Not realising, this twist pot would actually change my life when it comes to the nail world. 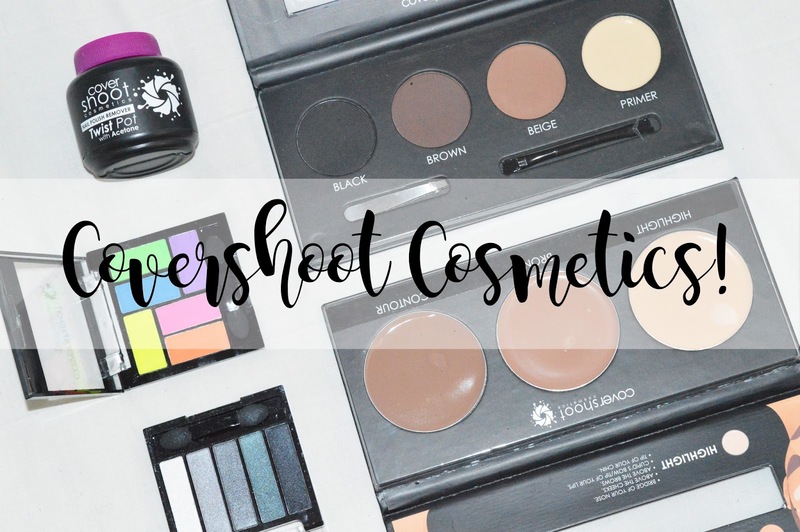 Recently Covershoot Cosmetics kindly sent me their new beauty blogger box which contained some beautiful products in and very useful products too! You can find their website here, where they have a wide range of products available, as well as brushes too! I'm really excited to see what new products Covershoot bring out, as I'm so pleased with the products they sent me. 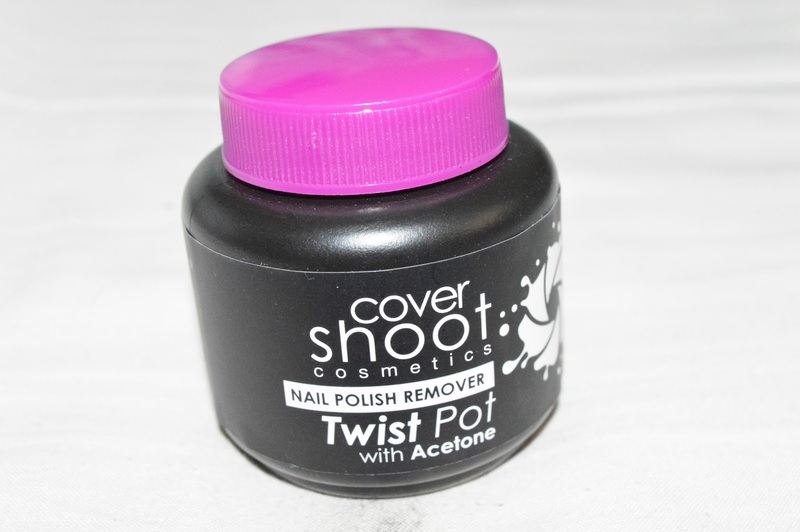 The Covershoot Cosmetics Nail Polish Remover Twist Pot* is the perfect handbag size! I was so pleased when I saw this in Poundland, purely because of how small it is as you very rarely see a twist pot this small when searching through your local drugstore. The smell of this isn't for everyone, however I really like it! It's not strong and it's a fairly sweet scent too! I was absolutely amazed and how good this product is, especially when you can pick it up for only £1. I literally put my finger in this pot, pulled it out again and my nail varnish was completely off! I didn't have to twist my finger and I didn't have to put my finger into the sponge more than once. How amazing is this?! 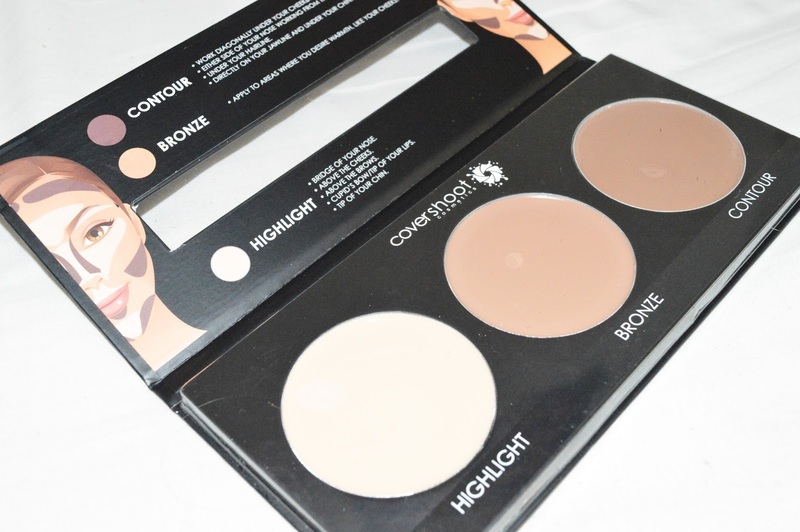 Next is the Covershoot cosmetics contouring kit* another product of theirs which I was highly impressed with and I now use this on a daily basis! This is the first cream contour kit I have ever used, and I'm not sure if I'll ever try any others! I think this is a wonderful idea as it includes a highlight, bronze and contour all in one package, which is perfect when you're on the go! I also love how this provides you with a tutorial inside the lid of how to use these products, and where to use each of them on your face. The texture of these products are very creamy, and very light! I find them easy to blend using a beauty blender and use can easily layer the product too. Overall, I am very pleased with this and I will continue to use it every day! 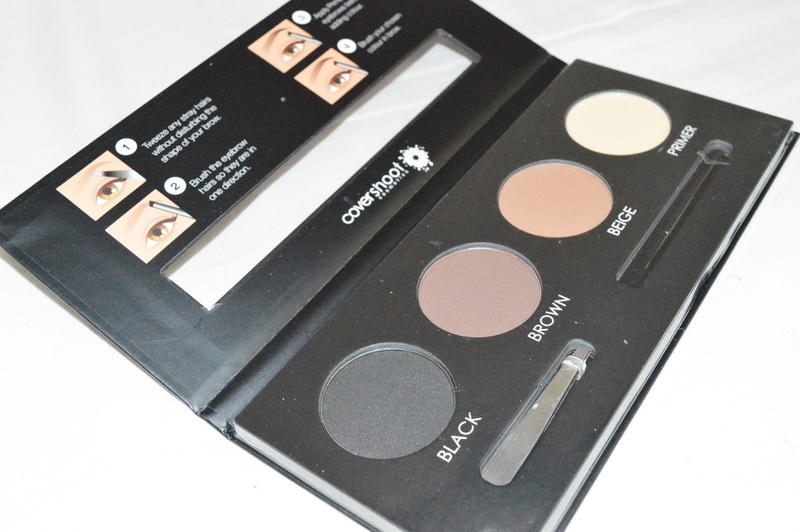 They also have the Covershoot Cosmetics Eyebrow Kit* which includes three different shades and a primer. One aspect I love about this product is how they include a tiny pair of tweezers! If you're using this on the go, then you can use these for your eyebrows, while also using them to apply your fake lashes. I found the beige shade to still be quite dark, so if you're a blonde or even lighter than blonde, then you may find this product too dark for you! However, this is where it would be absolutely amazing if Covershoot could create another product dedicated to those with lighter hair! I also found these fairly powdery with a lot of fall out, however they are also very pigmented! I tend not to fill in my eyebrows as they're already fairly thick and full so I feel like I don't need to. However, I believe this would be a perfect gift for friends or family, especially now that it's nearly Christmas! 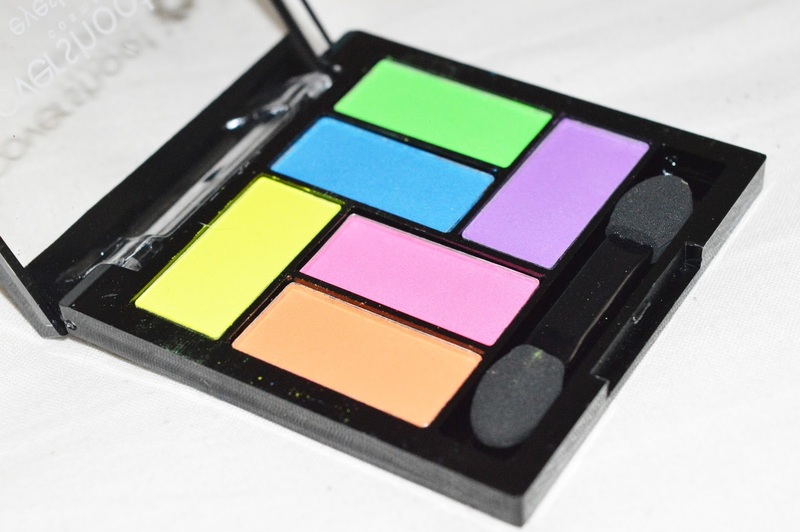 They also have the Covershoot Cosmetics Eyeshadow Neon Kit* which is absolutely stunning! Do you remember when there was the tag on Facebook where males had to do their makeup? My brother moaned at me for not having any bright eyeshadow's. But, now I do! This palette would be absolutely perfect for a festival look or even if you're trying something new with your makeup. 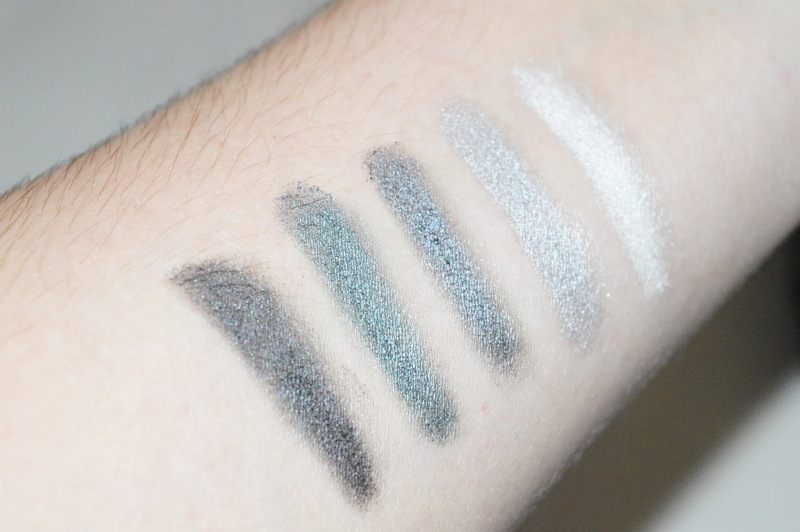 I found these shades to be fairly pigmented, the darker shades were definitely more pigmented than the lighter ones, and I also found the lighter shades to be fairly chalky too, but this isn't an issue! For an all rounder bright, bold eyeshadow palette I really like this and I'm sure I'll use it when I'm in a daring mood! 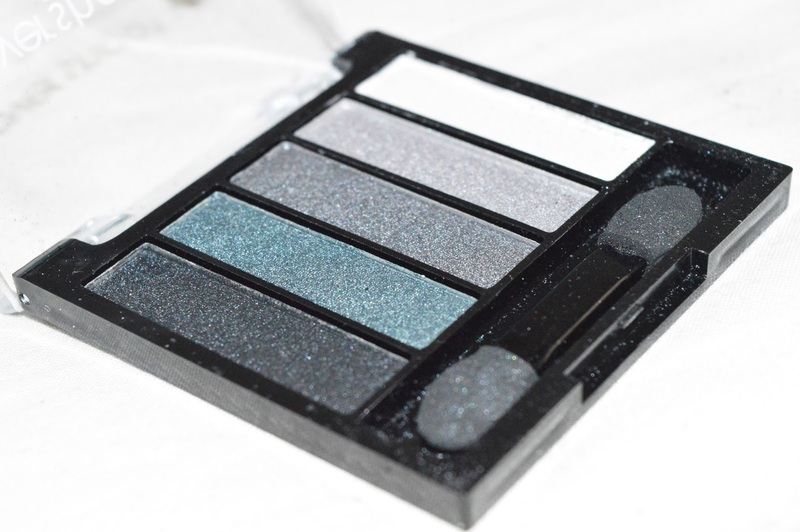 Last but not least is the Covershoot Cosmetics Eyeshadow Smokey Eye Kit* and I couldn't believe how pigmented this is! I mean, look at them colours! This time of the year is the perfect time for the smokey eye looks and this palette is perfect for that, especially if you're on a budget! They're extremely pigmented, and for such a low price, can you really go wrong with this? I love how bright the white is, and the teal is absolutely stunning! I'll for sure be using this throughout Autumn. Obviously for a low price palette, you're bound to have a little fall out, but this is completely normal and it's not a big issue either! If you're starting to explore makeup, or if you're on a budget, I know as a student I definitely am, then this palette is for you! What do you think of Covershoot Cosmetics? I'm so glad I was able to try their brand, for low price products, I have found myself some favourites! You can also find them on Twitter and Instagram! Wow! That pot sounds absolutely wonderful! I have the worst time trying to find one that actually takes off all of my nail polish. I am falling in love with their eyeshadow colors for sure though! (: I think I'm going to have to check them out. Thanks for sharing this. 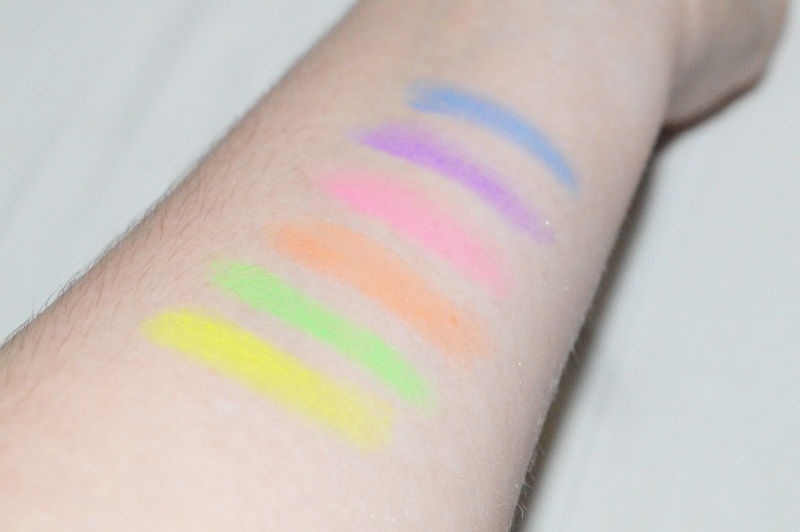 Would you say the Covershoot Neon shadows are a dupe of Kat Von D pastel goth? I think they look even better!